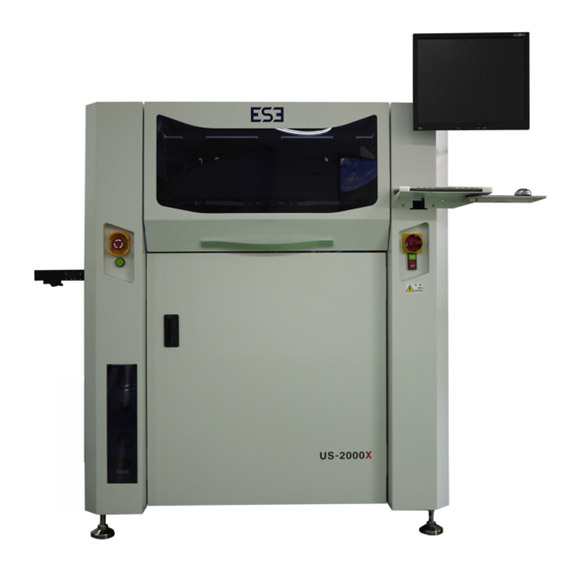 For long board printing, ESE of Korea are experts in Large Board SMT Printers. With the largest to date, the LX-5 printing 1500mm x 600mm boards. Order received with a special request to print PCB's up to 870mm long for their application. The standard US-8500X which is already capable of handling 850mm PCB's was modified to not only accept this PCB size but also a larger Stencil Frame size. Printing direction was altered for better control of print pressure across the PCB, printing in Left to Right Direction. ESE are possibly one of the most professional and technically capable companies we have ever worked with and we are proud to be their UK and Northern Europe distributor.